Resham is a well-known Pakistani film actress and model. 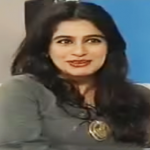 She has been serving the Pakistani media industry for a long time. Resham is leading film actress in the showbiz industry who comes to the timeline when she appeared in the movie ‘Sangam’ in 1997. She is best known in the industry for her bold appearance in the movie. The actress won the several awards in the career for her outstanding performance including national film award. 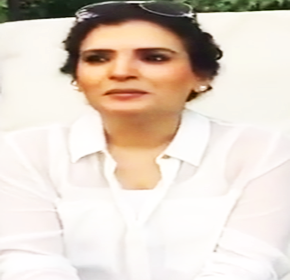 Resham was born on September 10, 1975, in Faisalabad, Punjab, Pakistan. She so much passionate about showbiz arena from early childhood eventually associated with theater. Resham is a talented actress strived to come to such a highlighted situation. She established her name in the media industry widely by terrific acting performance. Resham made her acting debut with the movie ‘Jeeva’ in 1995 with co-actor Babar Ali directed by Syed Noor. Following the year, she appeared in the movie ‘Chor Machaye’ with Babar Ali and Reema Khan. Then she starred in the movie ‘Ghunghat’ with Shaan and Saima Noor. In 1997, the actress showed off terrific acting performance in the movie ‘Sangam’ with co-actor Shaan Shahid. The movie created fierce stir enough in the Pakistani box office eventually she got positive acclamation from critics and National Film Award. After the triumph in the film industry winning the national award she stepped out toward small screen did several popular television dramas such as ‘Din’, ‘Dukh Sukh’ and ‘Amarbail’. She showed off magnificent performance in the drama ‘Man-o-Salwa’ with Ayesha Khan and Imran Abbas. 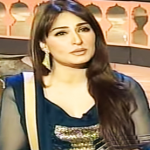 In 1999, the actress starred in the movie ‘Inteha’ with co-actor Humayun Saeed. In the same year, she appeared in the movie ‘Jannat Ki Talash’ with Shaan Shahid. 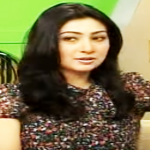 Then she acted in the movie ‘Toofan’ in 2002 with Shaan Shahid. In 2006, Resham appeared in the movie ‘Pehla Pehla Pyaar’. After a break, she came back in the showbiz industry with the movie ‘Swaarangi’ in 2015. Following the year, she appeared in the movie ‘Saya e Khuda e Zuljalal’ with Javed Sheikh and Noor Bukhari. It is reported, the nice looking film actress Resham passed a night with dacoits in five-star hotel Lahore, a leading newspaper of Pakistan published such a news. In an interview, she denied the allegation and said some people spread out this type of news to spoil my career and image. She didn’t get popularity doing cheap publicity rather the actress came to timeline position showbiz industry doing hard work.